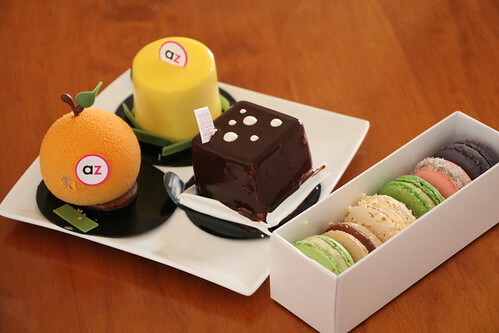 Anyone who has ever watched Masterchef would probably know of the name Zumbo. 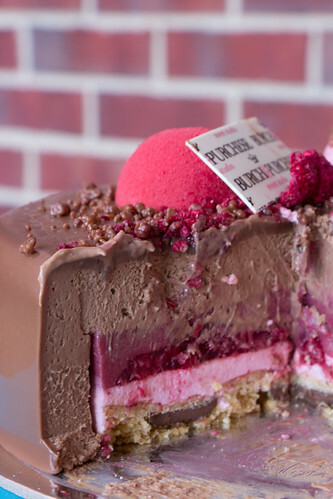 Known for his intricate and complex desserts and in particular the V8 cake and the Zumbo Macarons Tower, he has certainly made a name for himself all across Australia. 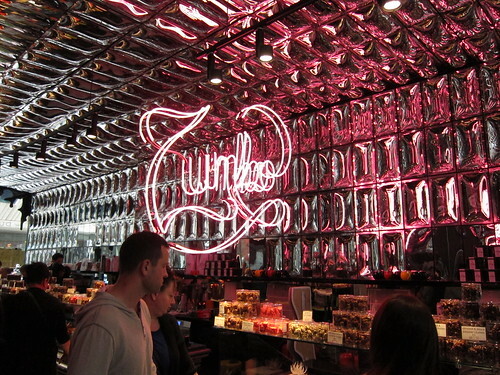 Zumbo Patisserie has finally reached Melbourne, and it picks a hot spot too in South Yarra. Conveniently located minutes walk from the South Yarra railway station and in between newly develop(ing) apartments and Toorak Road. 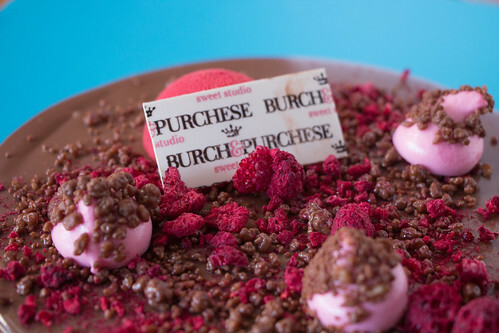 South Yarra has become the dessert place to be with the likes of LuxBite and Burch & Purchese. 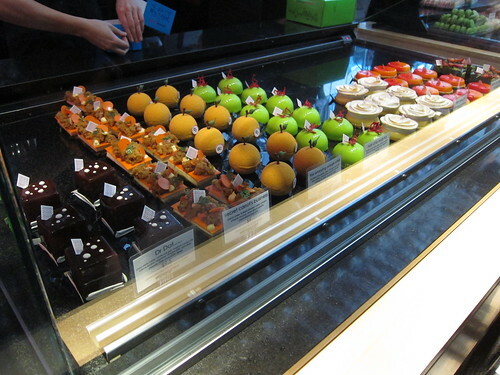 The Zumbo store is smaller than I expected, and yet they manage to showcase a variety of their larger cakes, mini cakes and desserts, macarons and pastries. 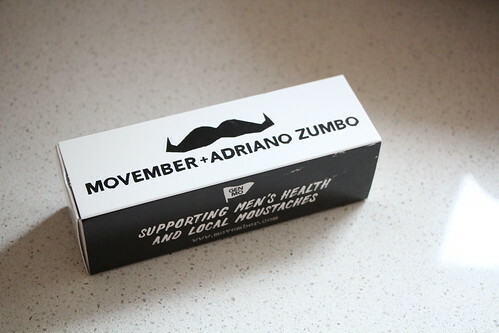 During November, all the Macaron boxes were in support for Movember as well as the very interesting Meat Pie which I didn’t have a chance to try. I managed to (barely) bring back a few cakes and macarons. You can see they are a little bit travelled. 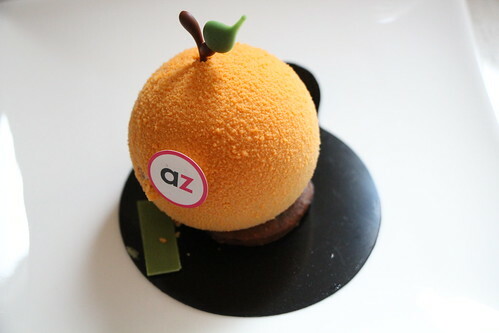 We have here the Annoying Orange Cake, Apple Fields and Dr Dot as well as the macarons with the flavours listed below. From left to right we have Apple Pie, Salted butter caramel on toast, Salted butter popcorn, Blueberry pancake, Fingerbun (fruit bread like), Pandan & sticky rice. The Pandan & sticky rice macarons was something I was very keen to try. I found the pandan flavour to be too mild, very subtle. The texture of the slightly hard sticky rice makes it interesting to eat but with the pandan flavour lacking it didn’t really work as well as I hoped it would. 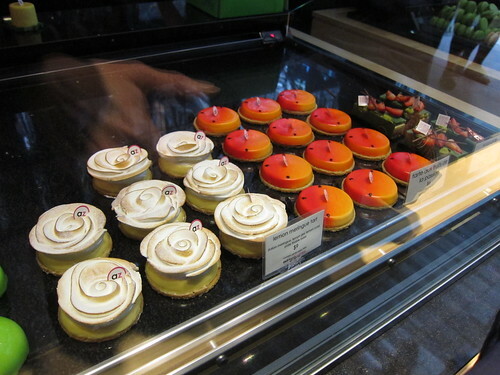 It also goes without saying for all the six macarons that the shells are some of the best in Melbourne. 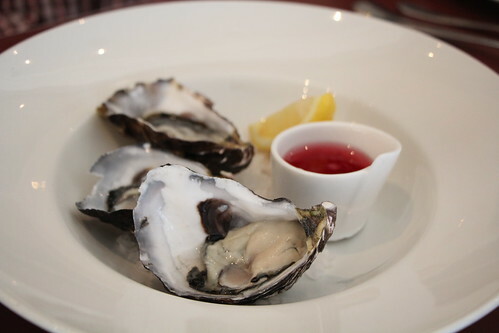 Just enough bite to shell and still moist with the almond meal inside but not too much air in the shells’. The Salted butter caramel on toast was also superb, the salty caramel filling that is just salted enough to complement the sweetness of the caramel and the slightly viscous nature of the caramel both sticky yet still retaining enough bite was just perfection. Salted butter popcorn was, unfortunately, a bit of a letdown. You can see it very much looks like popcorn, but the flavour of the filling just tasted like whipped butter. The flavour of just popped buttered popcorn was almost non existent. The Apple Pie was quite the delight to eat, packed full of flavour in the filling. It really does remind you of eating a apple danish of some sort. Excellent in every way, the freshness of the apple filling really makes it top notch. The Fingerbun wasn’t something I was very familiar with but after trying this it definitely reminded me of a fruit cake. I checked what the Fingerbuns were and my assessment of what it was (sweet bread with sultanas and icing) seemed to be roughly on point. 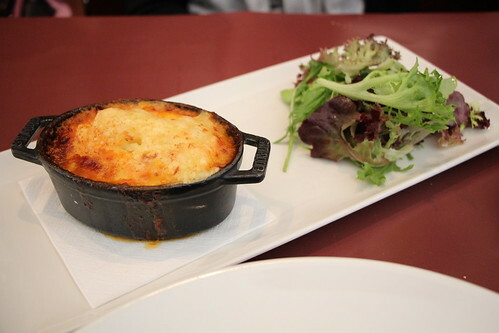 Flavourwise, I liked it but not being much of a fruit cake/bread fan it’s not something I’d immediately order again. Lucky last was the Blueberry pancake macaron. Again, a milder tasting blueberry flavour but enough sweetness and slightly tart. Overall the macarons I found weren’t overly sweet but with macarons they are basically packed full of sugar so that’s expected. 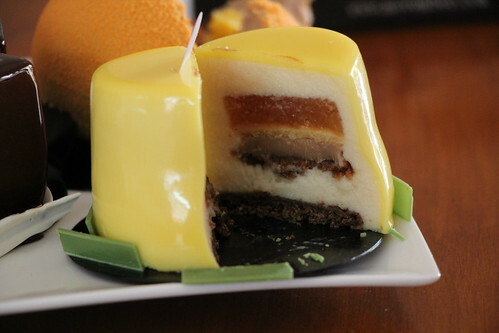 The annoying orange cake is made of flourless chocolate cake, orange caramel, olive sable, chocolate & clove mousse, orange & white chocolate jam. It reminded me of the Jaffa lollies because of the chocolate and oranges. 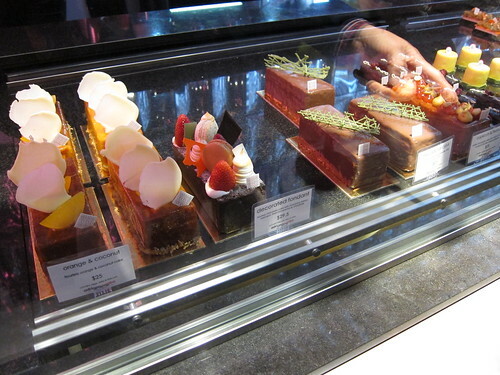 The chocolate cake was very light and the orange flavoured caramel, and jam complemented the cake well. 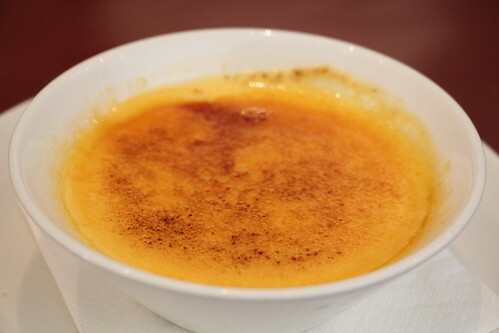 The orange zest also gave it a boost of orange which I found to be very pleasant on the palette. The Dr. 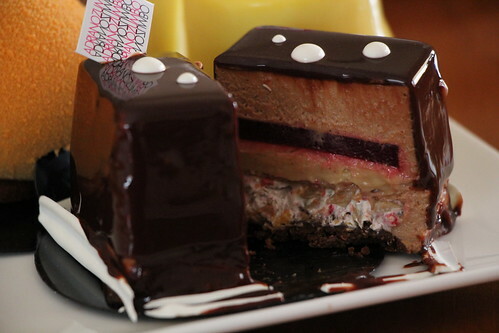 Dot is made of chocolate sable, white nougat, roasted cocoa hib, creme brulee, raspberry vinegar jelly, gianduja mousse, dark chocolate glaze all in their distinct layers surrounded by the mousse and glaze. I absolutely adored this cake, probably because of the chocolate and raspberry working stupendously well together. I love a good raspberry jelly and this was one of them. Smooth but still retaining the essence and texture of raspberries and the nutty nougat gives it a bit of crunch. I thought it had hazelnut flavour in it too, but that seems not to be the case. The mousse is super smooth and ridiculously light. 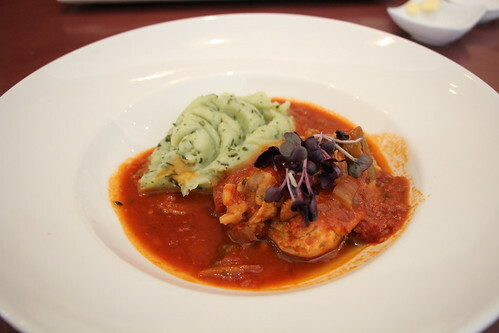 Even looking at the photos again makes me want to taste it again. 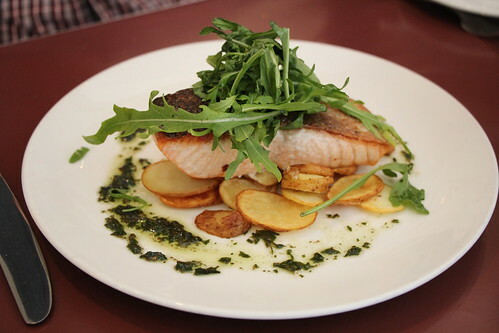 Although the impressions of many Melburnians seemed to have mixed feelings about the quality of the food here, I still think it has earned its place. Not everything hits the mark, and the prices lean on the more expensive side of things but for special occasions I think it’s reasonable. 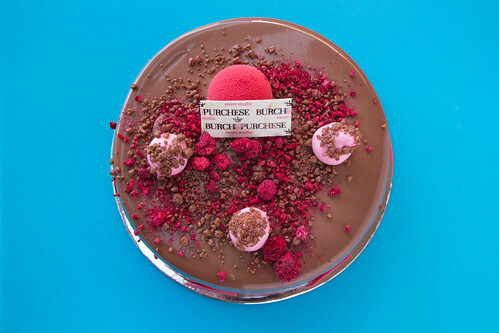 The very complex V8 cakes were surprisingly expensive but after much thought realised of how much work would go into these cakes (the 6″ is $70, 8″ is $125) with all the different layers. 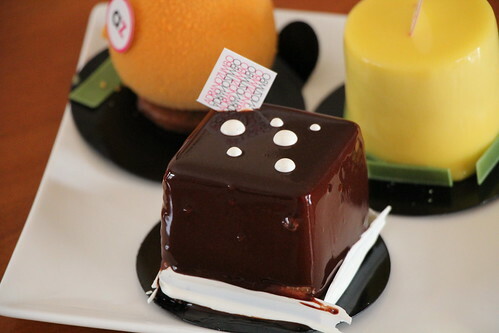 LuxBite and Le Petit Gateau does cakes and macarons well as well and I found them to be on average cheaper for what you get. 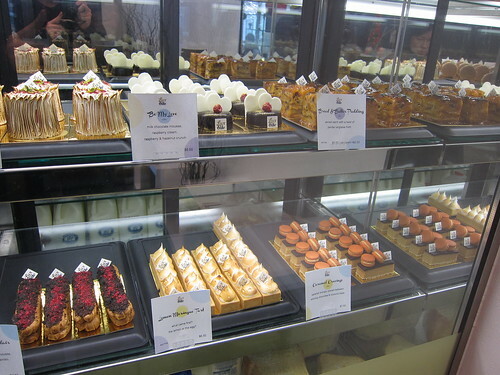 More variety of patisseries the better I’d say though! 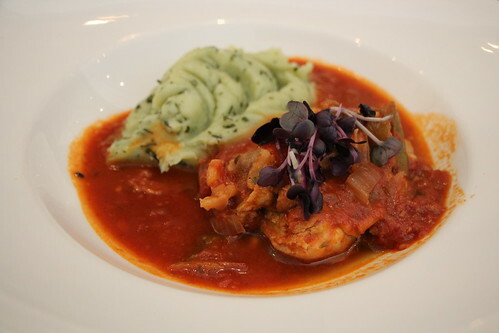 I heard so many good things about LuxBite that I had to force myself (not too hard, obviously) to make my way to their South Yarra location. 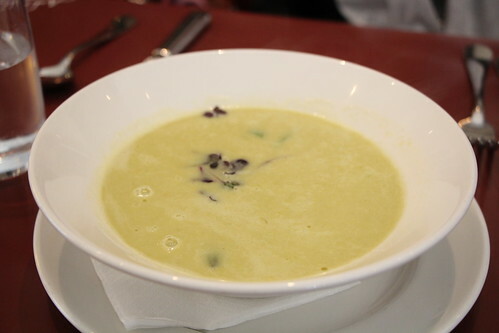 LuxBite serves primarily sweet desserts and confectionary, but they also serve coffee, breakfast and lunch too! 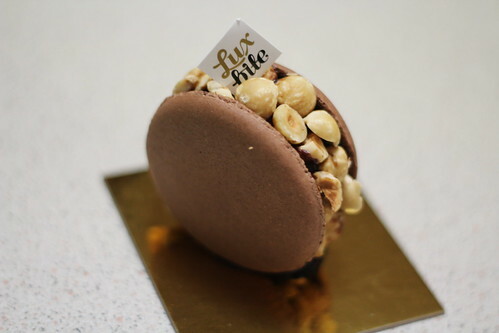 What makes LuxBite slightly different is that they have a slight Asian influenced to some of their desserts, for example one of their macarons has a Kaya filling. Kaya is a Malaysian term for Coconut Jam and homemade Kaya is absolutely delicious. 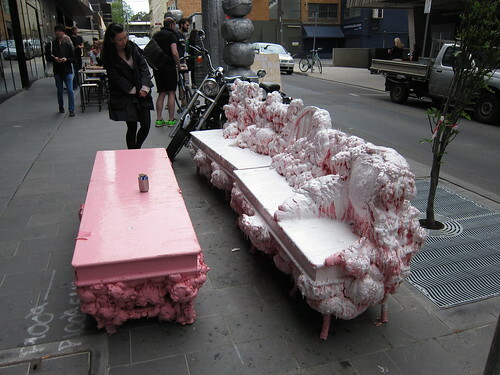 Their store is quite close by to South Yarra station, so it makes it convenient for those without cars or car-averse. 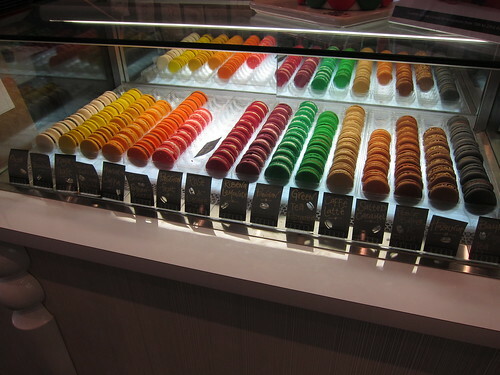 In the above picture, hopefully you can see their selection of macaron flavours. There are your popular flavours such as Salted Caramel and Hazelnut have more interesting flavours like Rose and Ribena Lemonade. 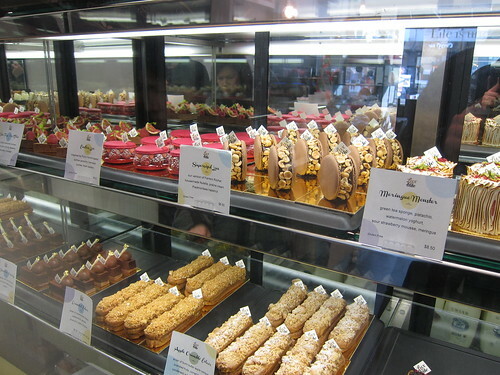 Their store has quite a number of sweet delights to choose from, with many having that French flair ala Elcairs as shown at the bottom of the image. 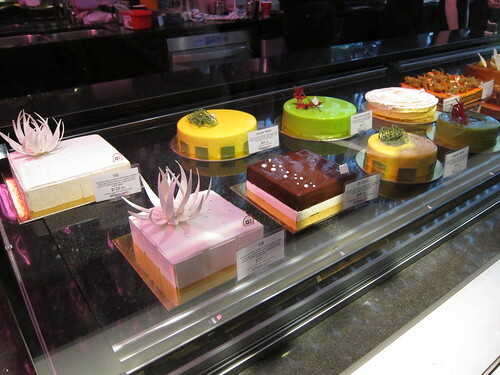 It was really hard to choose a couple of desserts to try because they have so many on offer! We were still heading towards the city for the day so I couldn’t choose anything that needed to go to the fridge quickly so that helped. 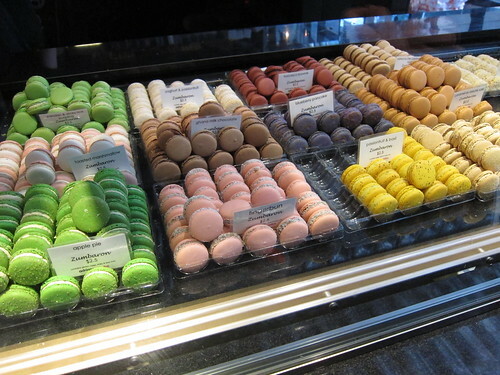 As shown above, we chose the Chocolate Hazelnut Macaron. It’s this plus sized macaron with chunks of hazelnut pieces and a hazelnut and chocolate ganache. 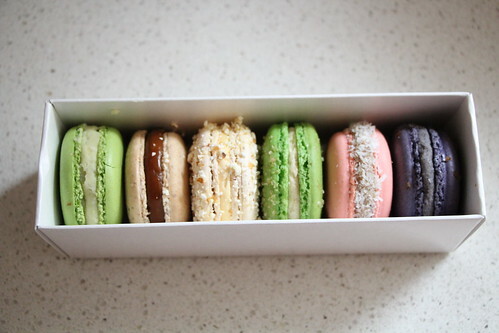 I quite enjoyed the macaron, it’s as you would want from a macaron. 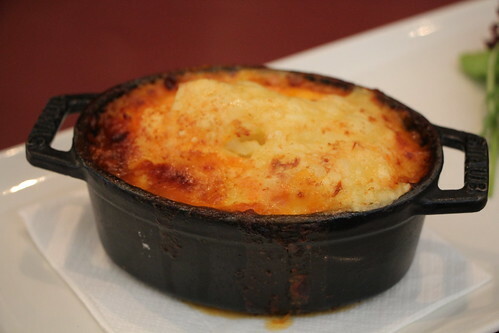 Crispy, slightly chewy and sweet. The hazelnut flavour of the chocolate and nuts really helped blend everything together. A real treat. 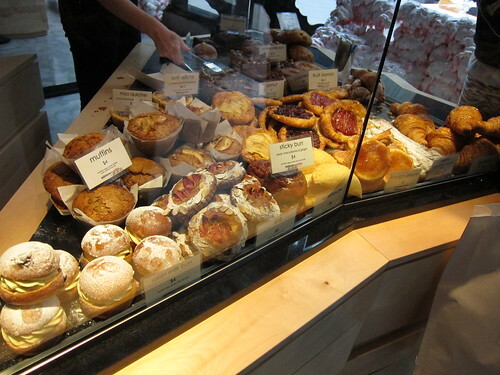 We chose the interesting Lemonade Ribeena and Kaya Toast macarons. 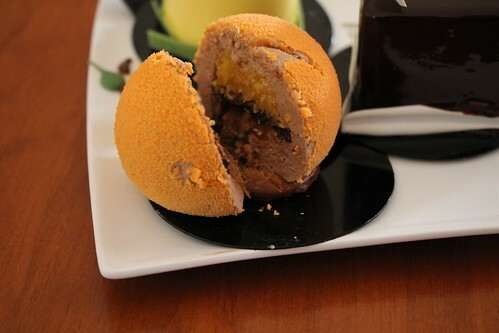 The Kaya Toast macaron has kaya as it’s filling. I think it’s homemade, but their kaya was unfortunately too sweet for my liking. I would even have preferred the Kaya jam jars you can buy from an Asian grocer with pandan. Even that jam is less sweet. For those that haven’t tried Kaya before may like it though but for me it lacked the coconut flavour and was way too sweet to be enjoyable. The Lemonade Ribena on the otherhand was very interesting. It has this cream based lemonade flavour filling but inside there is what I believe (or remember) a small Ribena jelly cube. 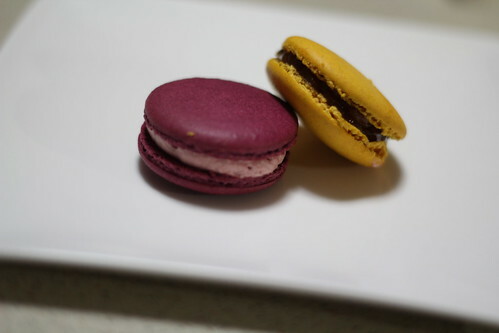 The Ribena jelly was delicious and made that macaron one of my favourites because it had such a pleasant flavour and was different to things I’ve tried before. 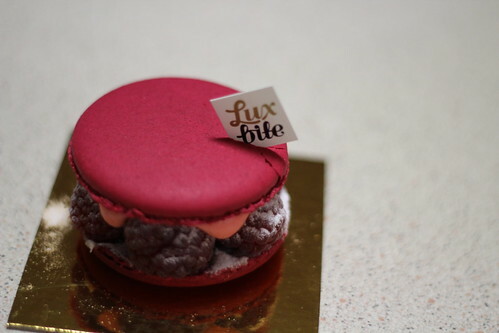 Last on my list was LuxBite’s Lychee Raspberry Macaron. I love all things Lychee too so I couldn’t help to be intrigued by a Lychee and Raspberry Macaron, plus it looked amazing. Inside this macaron, there is a whole lychee, but the salmon pink filling as you can see in the image was also slightly Lychee flavoured. The combination of the sweetness of Lychee along with the sourness of the icing sugar dusted Raspberries worked a treat. It melded together really well as the freshness of the Raspberries cut through that sweetness of basically everything else. A joy to eat. 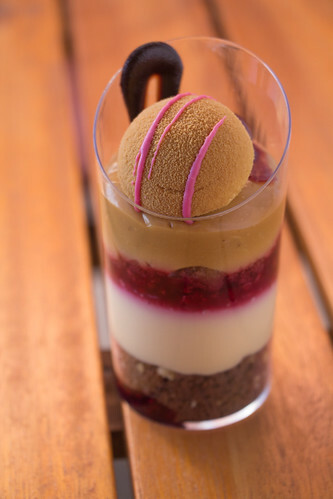 LuxBite impresses with its well crafted pieces that look amazing and taste great too. It’s no wonder people keep coming back for more. I really do recommend giving LuxBite a try.